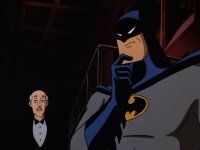 Batman: The Dark Knight Returns, Part 1 was just released last week, but the ball is already rolling for Part 2. Warner Bros. released the first still photo today, and announced that they’ll be showing off footage from Batman: The Dark Knight Returns, Part 2 at New York Comic Con on Saturday, October 13 from 12:15-1:15 p.m. in the IGN Theater. Warner Bros. will also be screening a documentary titled The Batmobile on Friday, October 12 from 1:30-2:30 p.m. in the IGN Theater. Check out the full press release after the break for more details. Attendees of the Con will be the first to see footage from Batman: The Dark Knight Returns, Part 2, the highly anticipated epic animated conclusion to Frank Miller’s landmark story. On Saturday, October 13 from 12:15-1:15 p.m. in the IGN Theater at the Jacob Javitz Center, executive producer Bruce Timm, dialogue/casting director Andrea Romano and special guests will discuss the making of the next DC Universe Animated Original Movie and show some tantalizing clips. Also anticipated during the panel is the announcement of the 2013 slate of DCU animated films. Produced by Warner Premiere, DC Entertainment and Warner Bros. 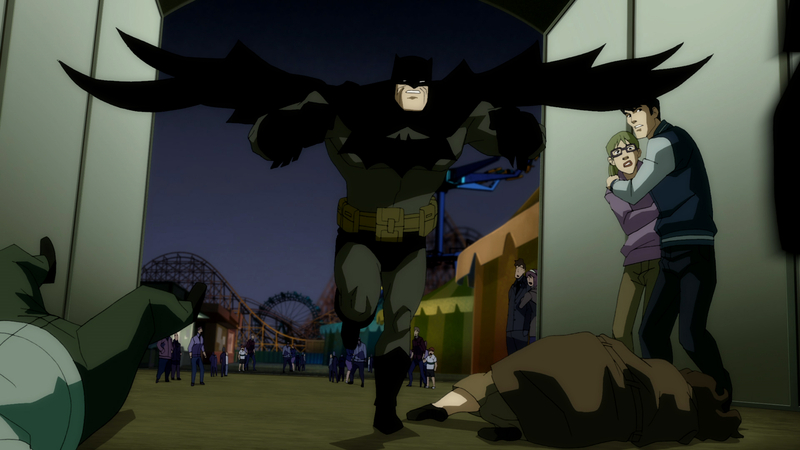 Animation, Batman: The Dark Knight Returns, Part 2 will arrive from Warner Bros. Home Entertainment in early 2013.